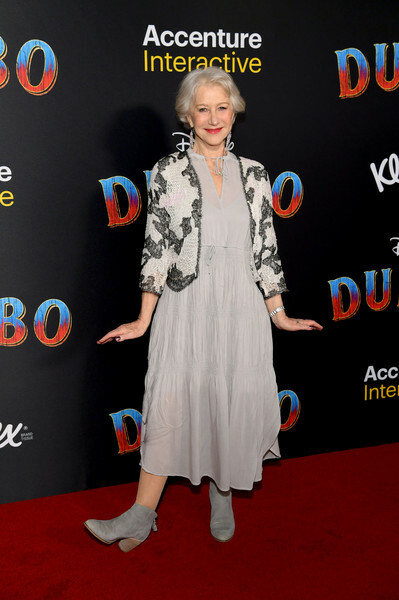 Helen Mirren attends the premiere of Disney's "Dumbo" at El Capitan Theatre on March 11, 2019 in Los Angeles, California. Helen Mirren layered a monochrome lace jacket over her dress for a chicer finish. Helen Mirren completed her ensemble with a pair of gray ankle boots.